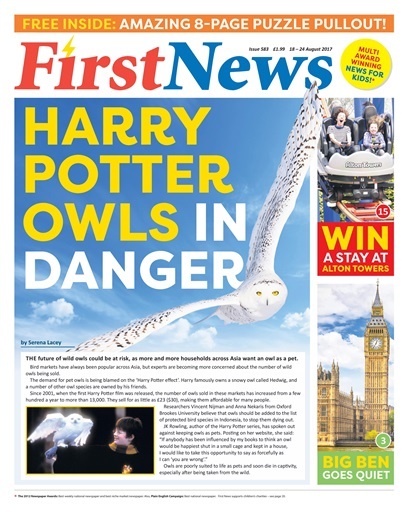 Our owls are in danger! More and more households across Asia want an owl as a pet, and it's threatening the species. We look at why this is happening, and why it's so bad for our hooting friends. Plus, we find out why Big Ben might be going bongless - and you could win a stay at Alton Towers!